With the Carbon Fiber Front Lip for MK5 R32, your car will have a more aggressive look that will make it stand out from the crowd. 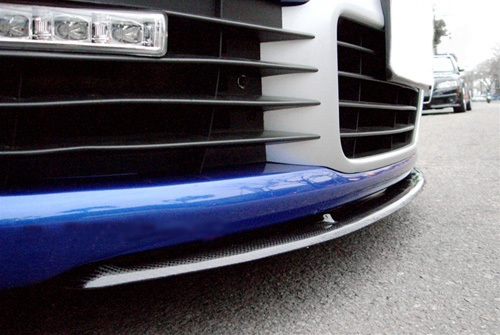 The Carbon Fiber Front Lip for MK5 R32 adds an aggressive look to your ride. The MK5 R32 is already an aggressive-styled car with the power to back it up. If you want to add an extra aggressive look to your MK5 R32, the Carbon Fiber Front Lip for MK5 R32 is the perfect upgrade for you. Professionally crafted from high grade carbon fiber, the Carbon Fiber Front Lip for MK5 R32 is the best quality product with no fitment issues. Installation is a breeze since the carbon fiber front lip fits directly on the OEM bumper. Professional installation recommended. Front lip needs to be screwed into OEM bumper.